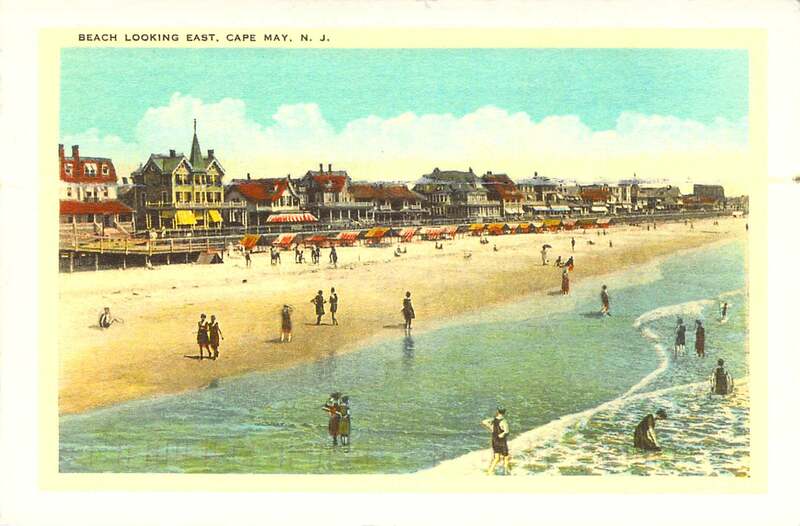 I’ve always heard about “Cape May” but never been there… so when my penpal Cate sent me this lovely postcard, I was delighted. 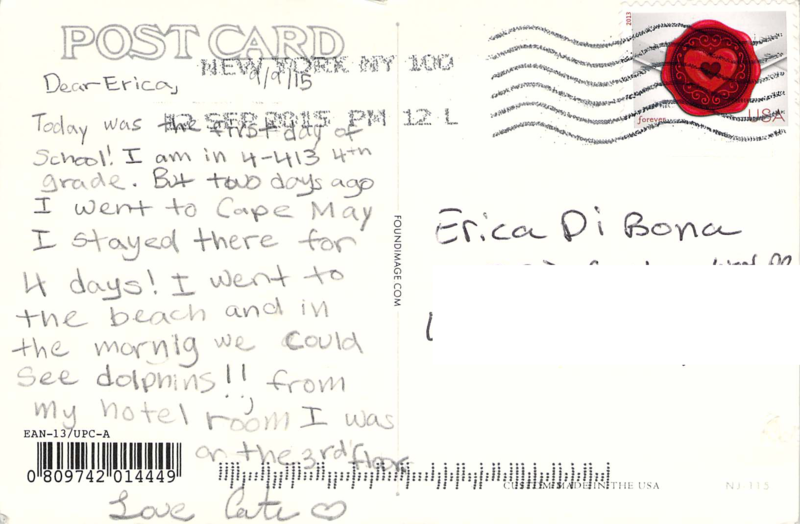 I wrote her back a real letter just because I don’t have any cool postcards like this with which to respond. 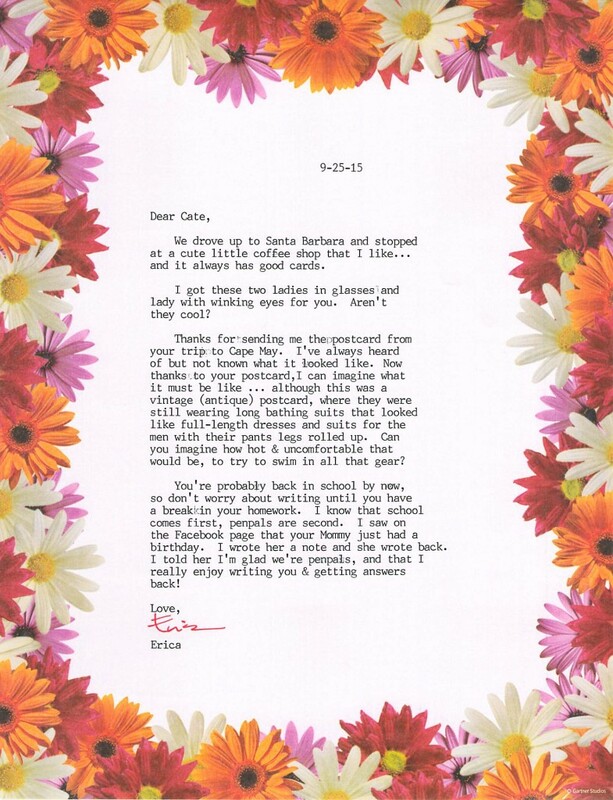 I enclosed a few 3-D cards I picked up for her, though. One was of a woman’s face where she’s blinking her eyes and the eyes seem to blink. I figured Cate — a budding artist — will like that.